In a prime location - On the market is Harrogate's popular The Kimberley Hotel. 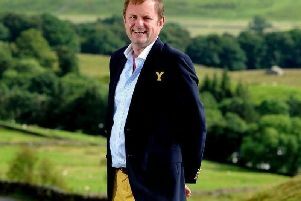 It's business as usual for a popular and award-winning Harrogate hotel which is on the market. Nominated for 'Independent Businesss of the Year' in the 2018 Yorkshire Choice awards, the four-star Kimberley Hotel is on sale with offers invited in the region of £500,000. Centrally located and very well established, the 71-bed hotel is expected to be an attractive proposition with 197 years remaining of a 200-year lease. Located at 11-19 King's Road, the hotel boasts elegant rooms decorated in a contemporary way. Opportunities to purchase hotel stock in the centre of Harrogate rarely become available, and the Kimberley Hotel is expected to be of significant interest. The business occupies the lower level, ground, first and second floors within the four storey, detached property, with lift access to all floors. It also has roadside frontage and rear car parking.